Within the unique setting of the former Church and grounds of St Cyprians the project will see 118 fully Self Contained Luxury Studio Apartments. 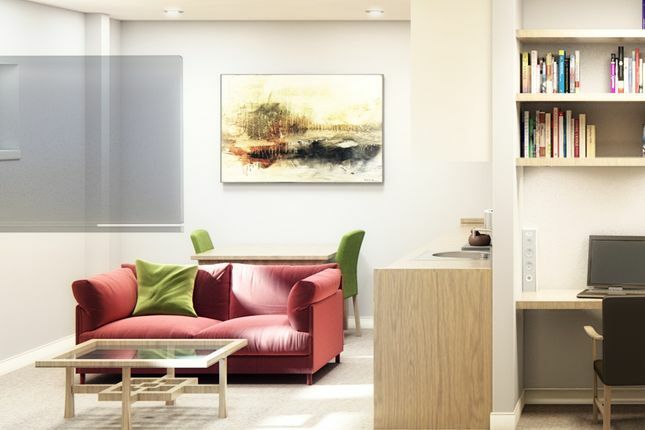 Students of all the Universities in Liverpool will not only benefit from the privacy of their own larger than average living quarters, but will also enjoy the social interaction of the Communal Lounge, Internet areas and Study Rooms, over all enhancing the group aspect of student life. With Duplex accommodation and Roof Terraces; the studios come complete with fully fitted private kitchens and ensuite bathrooms. Each self contained suite shall be sold on a lease hold basis of 250 years and provides an opportunity for individual investors to enter this lucrative sector at an affordable level. Property descriptions and related information displayed on this page, with the exclusion of Running Costs data, are marketing materials provided by Aspen Woolf, and do not constitute property particulars. Please contact Aspen Woolf for full details and further information. The Running Costs data displayed on this page are provided by PrimeLocation to give an indication of potential running costs based on various data sources. PrimeLocation does not warrant or accept any responsibility for the accuracy or completeness of the property descriptions, related information or Running Costs data provided here.